Could you talk a little more about using black tourmaline for protection (tip 19 from your book)? Not sure where exactly to place them. Thanks so much for your question from the book. 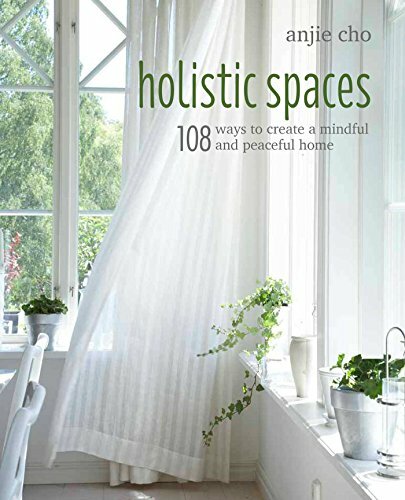 For the readers who don’t have the book, here is the excerpt from tip 19 from Holistic Spaces: 108 Ways to Create a Mindful and Peaceful Home. Black tourmaline is a natural crystal that’s pretty popular! It can absorb negative energies and provide protection. 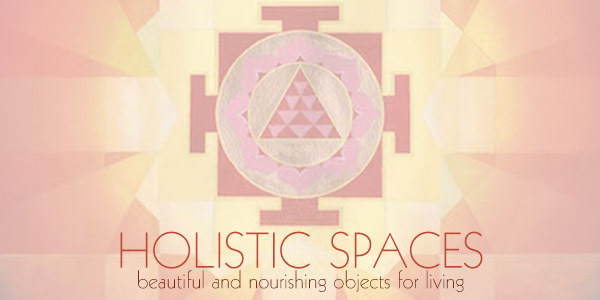 I love the idea of incorporating it into your home so it’s part of the design of your space. The black tourmaline can be small tumbled pieces, around 1/2”-2” diameter. The rough pieces, larger and smaller, also work. See what you’re drawn to and what is available for you. I’ve created a diagram that I hope will be helpful for you, Izabela. The red stars indicate where you can place the crystals if they would go under your bed. They can also go between your box spring and mattress, or fastened to the bottom of your bed frame. Sometimes that’s easier if you have pets, children or a cleaning person who may move them around. 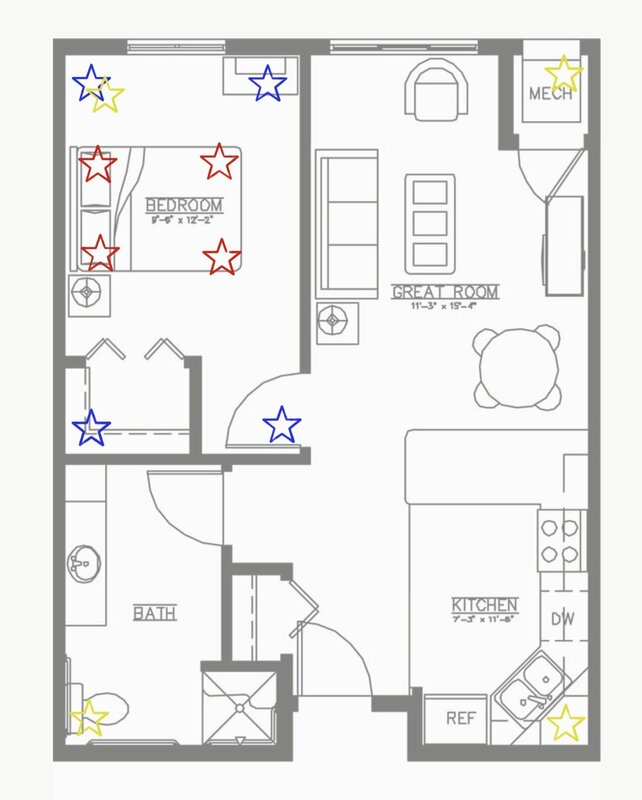 Similarly, the blue stars indicate where you would place them in the bedroom, and the yellow stars would indicate where they would be located if the grid is created for the entire home. You may be wondering which option to choose: bed, bedroom, or entire home. Usually it’s best to start with your personal energy, so I would suggest you do this for your bed first. It’s also worth noting it’s probably overkill to do all three areas (bed, bedroom and home) unless you have a very unique situation. Check out our black tourmaline and crystal set for protection on the Holistic Spaces store website. I have included in the set a pointed clear quartz crystal that can be placed in the center of the grid. Clear quartz provides clarity and it can be programmed for your intention. Check it out!